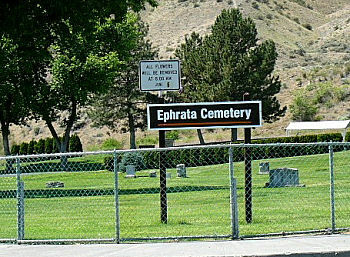 The Ephrata Cemetery is located at 333 E Street S.W. near Lions Park. .Please note that several older burials were "unknown" when the City took possession of the Cemetery in the 1940's. If you have missing information that could be added to our database or notice incorrect information, please email sgrout@ephrata.org and we will research it and update our records.